Kala Gallery is proud to present Appro-propagation, featuring new work by 2015-2016 Kala Fellowship artists. The exhibition includes Takuji Hamanaka, Jamil Hellu, Lucy Puls, Ronny Quevedo, Neil Rivas, Leah Rosenberg, James Voller, and Christine Wong Yap. 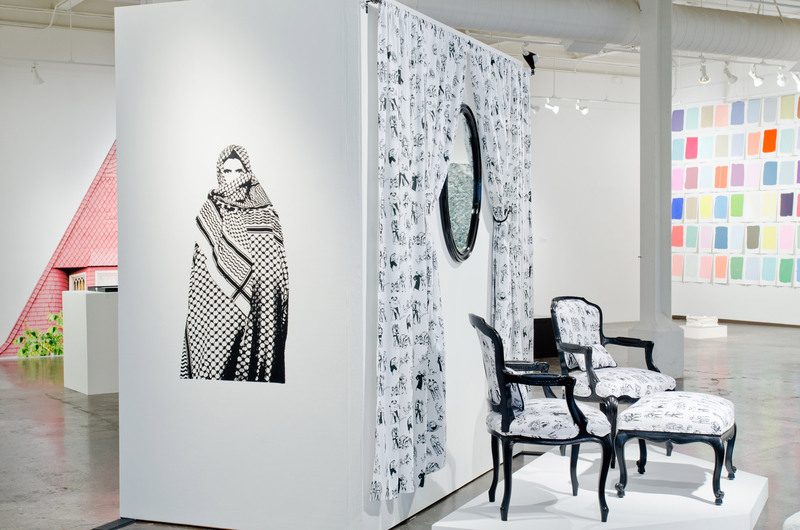 Kala Fellowships are awarded annually to a group of innovative artists working in printmaking, photography, book arts, installation, video and digital media. Fellowship artists are selected from a competitive field of applicants from around the globe. 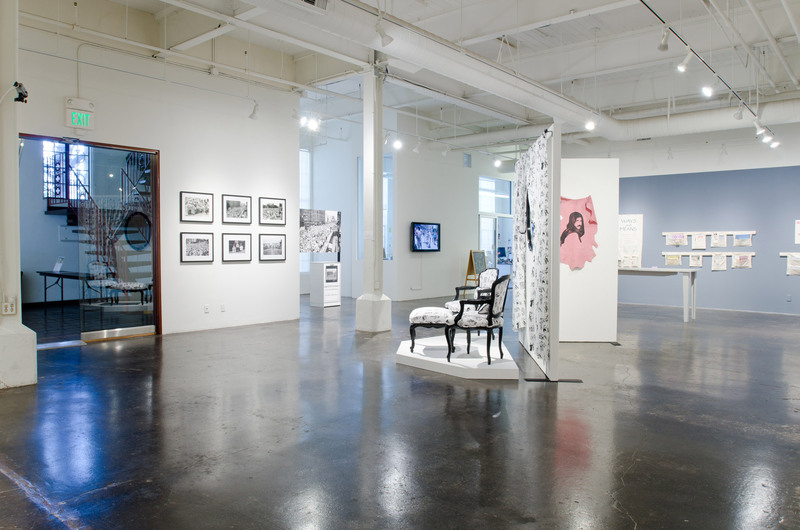 The 2015 – 2016 Fellowship artists were selected by a Kala Selection Committee and two guest jurors: Genevieve Quick, Alumni Fellowship Artist and Kevin B. Chen, Independent Bay Area Curator, Writer, and Visual Artist. 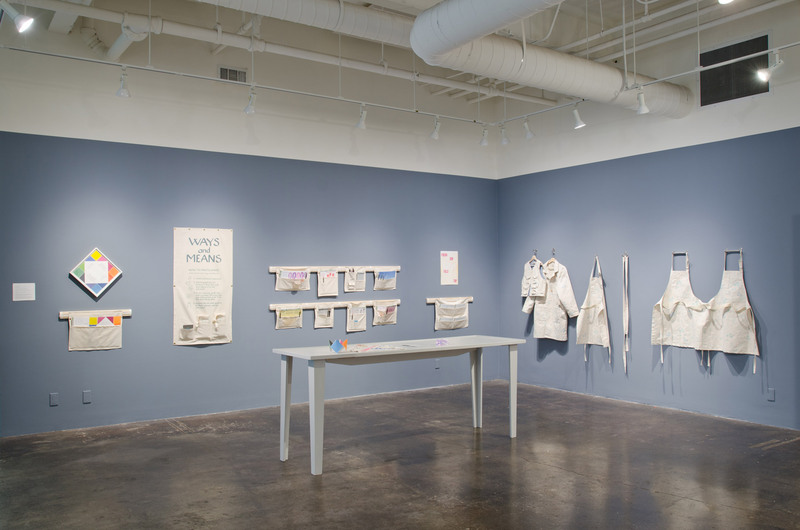 Approaching and appropriating ideas of the multiple, the exhibition Appro-propagation explores the notions of modules, varieties, sampling, activity kits, dissemination, and transformation. 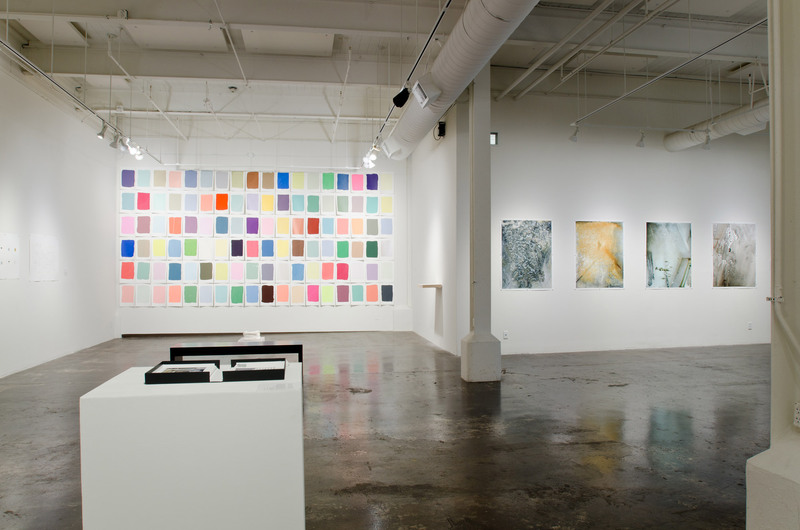 Through eight artists’ unique processes, one element reproduces another connecting each other and spreading into larger socio-political, aesthetical, historical and psychological contexts. Each artist in Appro-propagation used Kala’s residency as an opportunity to expand their working medium by challenging something new to further develop project ideas. This act of expansion and engagement both within their own art-making and with the audience is part of the core mission of our residency program. Takuji Hamanaka is a master woodblock printer, trained in traditional woodcut in Tokyo. 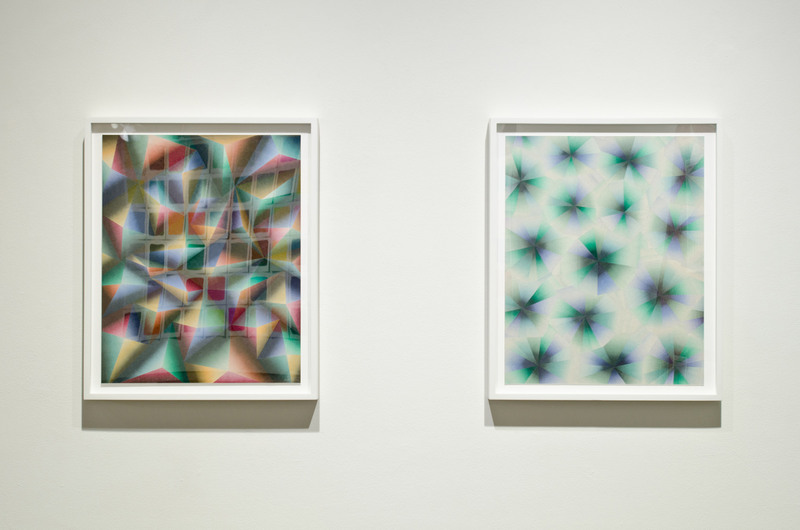 His work investigates materials and techniques in traditional printmaking and displaces them in unfamiliar contexts. For his new series, he prints hundreds of sheets of paper with Bokashi (Blend) printing, cuts them into various elements and creates larger collage pieces. Hamanaka lives and works in Brooklyn, New York. His work has been exhibited at the International Print Center, New York; Whitman College, Washington; National Academy of Fine Arts, India; and the Royal Scottish Academy in Edinburgh, Scotland, among others. Focusing on his ethnicity and Syrian ancestry, Jamil Hellu’s work engages in a multidisciplinary investigation of his internalized feelings about the violence of wars and friction that emerges at the intersection of Middle-Eastern lineage and queerness. While addressing implications and stereotypes of his Arab heritage, he creates artworks that are both personal and political. Hellu earned his MFA in art practice from Stanford University and a BFA degree in photography from the San Francisco Art Institute. Recent residencies include Recology San Francisco, Headlands Center for the Arts, and Cité Internationale des Arts in Paris. 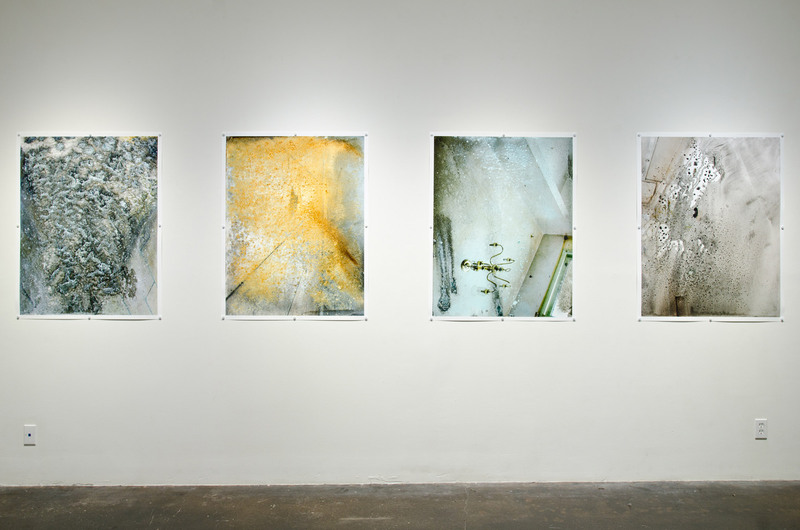 Exceptionally beautiful and sad; speak of life, the passage of time, and the fragility of materials.” She experiments with “sculptural form, photographic images, paint, and other material additives that combine to facilitate a circumvolution of physical awareness, psychological triggers, and straightforward representation.” Puls received her MFA from Rhode Island School of Design. 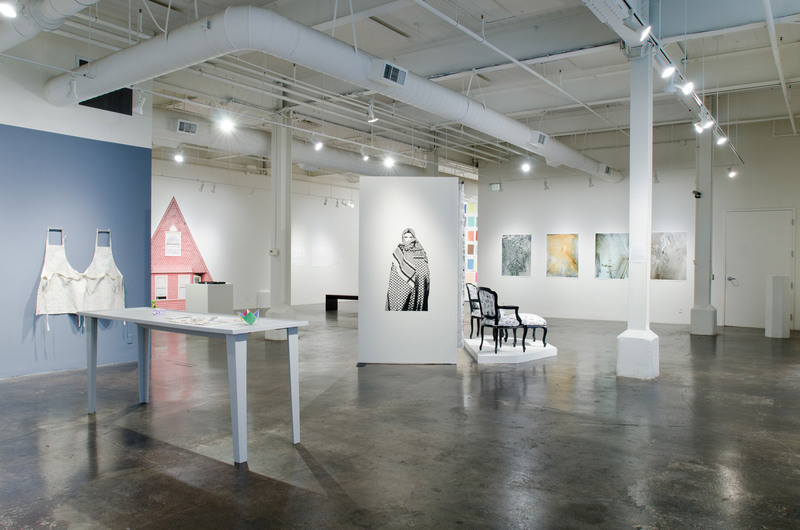 Puls has participated in numerous exhibitions both nationally and internationally, including a solo exhibition at Verge Center for the Arts in Sacramento. Her work is in collections including San Francisco Museum of Modern Art, Oakland Museum, Achenbach Foundation for Graphic Arts, di Rosa Art Preserve, and the Jewish Museum in New York. During his residency at Kala, Ronny Quevedo experimented with silkscreen printing and polymer plate embossing. 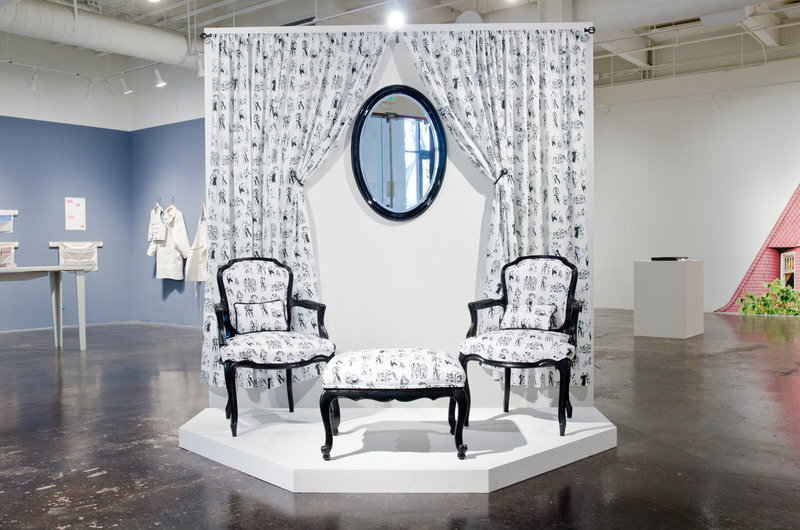 His work addresses concepts of displacement focusing on the symbolic and performative role of materials and icons. “The playing field marks an arena of transitional icons. The rules of sport… recall the insistence on survival and constant adaptation through a reconstitution of its logos and implied body movement.” Quevedo earned his MFA from Yale University and BFA from The Cooper Union. 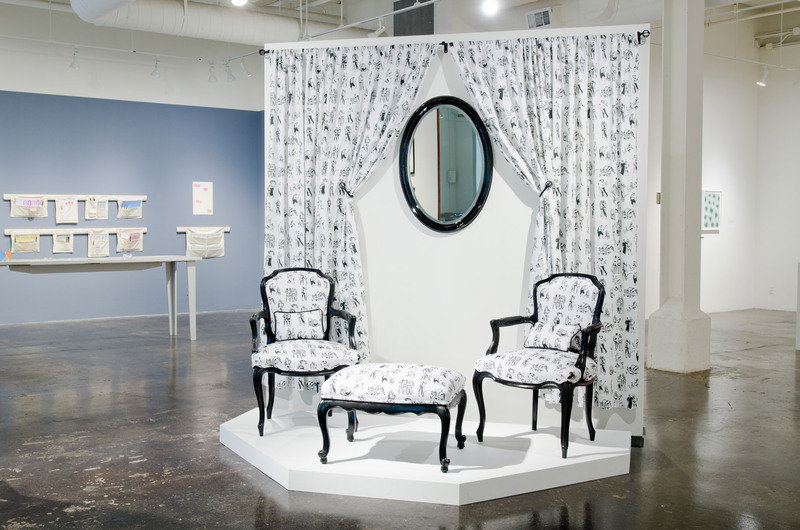 He has participated in residencies at the Museum of Fine Arts, Houston, Project Row Houses, Skowhegan School of Painting & Sculpture, and Lower East Side Printshop. He has exhibited at Sicardi Gallery (Houston); The Drawing Center; Rush Arts Gallery; La Casita Maria (New York); the Queens Museum; Museum of Fine Arts, Houston, and more. 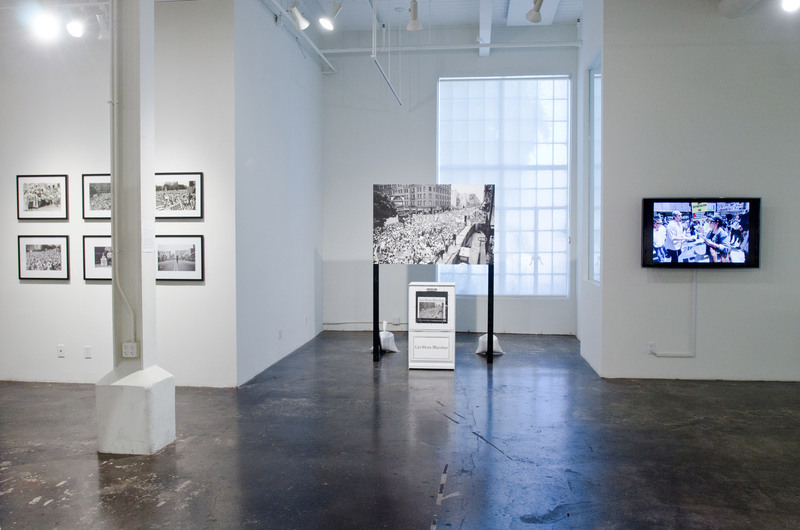 Neil “Clavo” Rivas worked at Kala on his project revisiting pivotal events in recent U.S. immigration and human rights history. 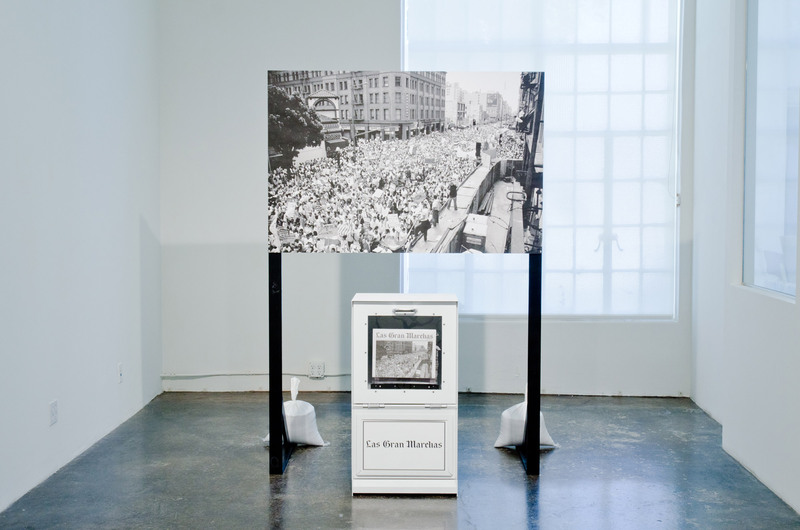 Using both analog and digital photographic images primarily from his own archive, other historical images, collected objects, and appropriated pop-culture iconography, his work creates tactical interventions within social, cultural, and political contexts. Rivas received his MFA from California College of the Arts and BFA from California State University, Long Beach. Rivas’ work has been exhibited at venues such as the Museum of Latin American Art; Museum of Art of El Salvador; Palacio Nacional de Guatemala; UC Berkeley’s Arts Research Center; Yale University; SOMArts Cultural Center; Galería de la Raza. 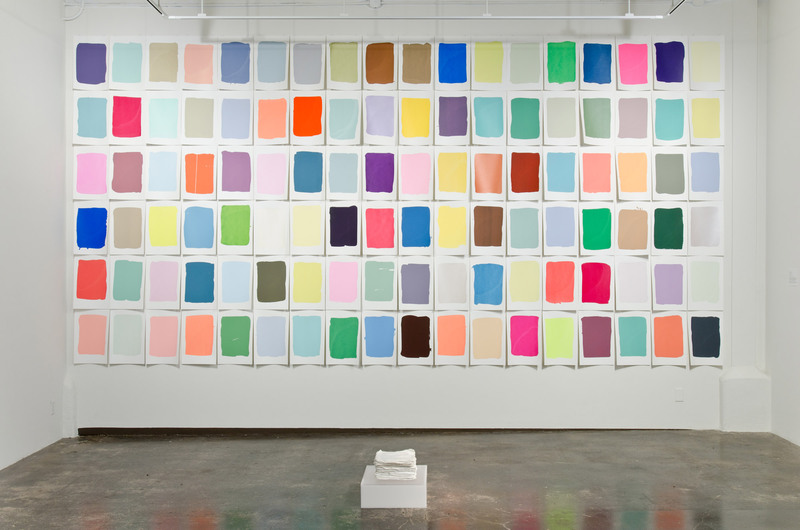 Leah Rosenberg’s practice spans a range of media including painting, sculpture, installation, performance and food. 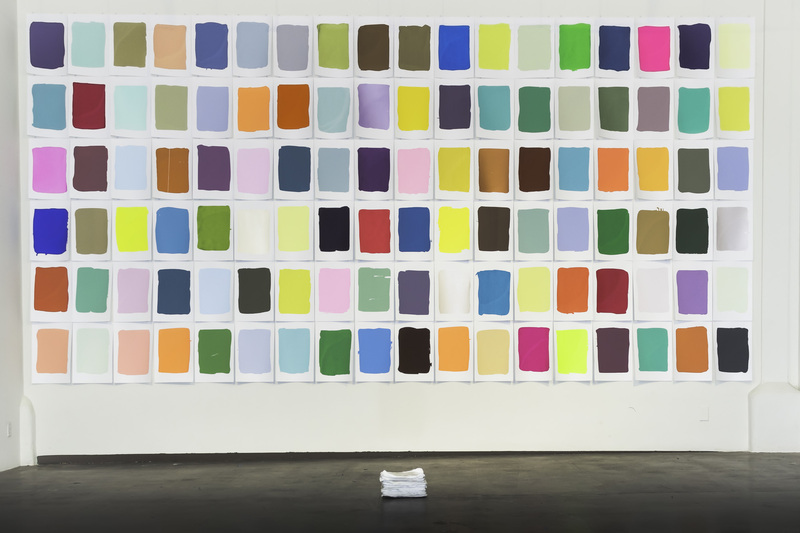 During her residency at Kala, she created Color Separation (a 108 layer paint stack referencing Kala’s individual studio space and 108 silkscreen prints of those paint sheets) and Opportunities for Growth (a fifty layered screen print). Her work explores how color, form, flavor and arrangements affect human emotion through the process of accrual and layers, personifying how our experiences and memories accumulate. 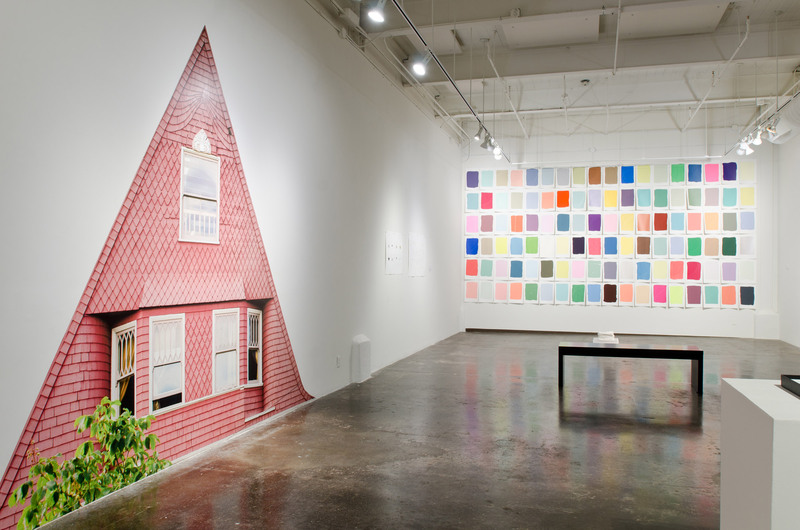 Rosenberg received her MFA from California College of Art. She was the lead pastry chef for the rooftop coffee bar at SFMOMA. Her recent exhibitions include Happiness Is… (Montalvo Arts Center, Saratoga), Pairings (Galleri Urbane, Dallas) and Bay Area Now 7 (Yerba Buena Center for the Arts). James Voller presents Like That But Not That, a three-part installation: gallery and outdoor photographic installations and a photography portfolio,exploring the similarities and differences between suburban architecture in Australia and the West Coast of the United States. Both places have an abundance of Californian bungalows. He investigates shared architectural language of both places and how this is influenced by their locations on the Pacific Rim, while highlighting the uniqueness of each location shaped by its own social history. Voller holds an MFA from RMIT University and is currently pursuing postgraduate study at Monash University. He has been featured in international exhibitions, such as Moving House at the Christchurch Centre for Contemporary Art, New Zealand and Streets of Gold at the Museum of London. 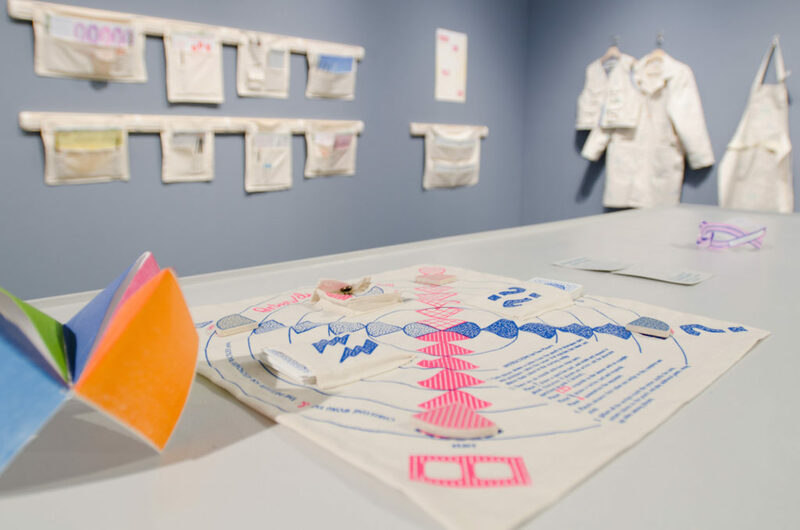 For Appro-propagation, Christine Wong Yap presents Ways and Means, a participatory installation with a modular system of letterpress-printed activity kits and garments sewn with custom-screenprinted fabric. 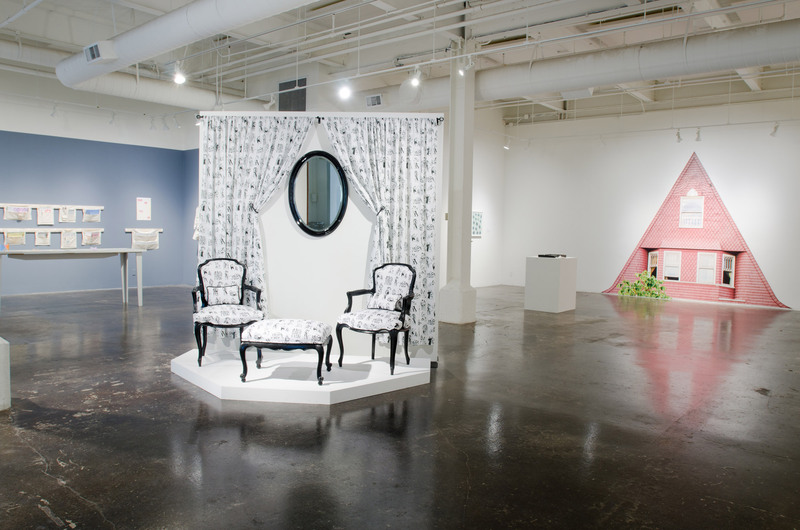 Her work often consists of installations, sculptures, drawings, and participatory projects, investigating optimism, happiness, and positive psychology. Yap holds a BFA and MFA from the California College of the Arts. Her work has been exhibited nationally and internationally. Her residencies include Chinese Arts Centre (Manchester U.K.), Tides Institute and Museum of Art (Eastport, ME), Woodstock Byrdcliffe (NY), Montalvo Arts Center (Saratoga, CA), Harvester Arts (Wichita, KS), c3:initiative (Portland, OR), as well as the Headlands Center for the Arts (Sausalito, CA).